This is an introduction to what I have starting in my solar porch, in addition to many other plants and seeds that have yet to germinate, such as mangoes, avocados, and kiwi. 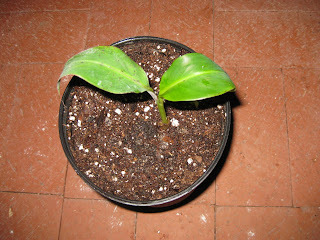 I bought this lovely young plant on the internet and it's called a Dwarf Orinoco banana. It will reach a height of 6-8ft and it should bear some fruit so it will be perfect for the greenhouse, seeing as how it fits my space restrictions. 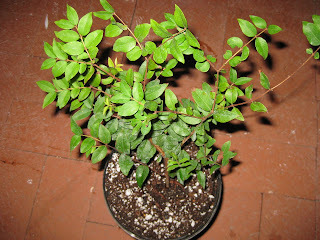 I also purchased Myrciaria cauliflora on the internet, more commonly known as a Brazilian grape. I have read that they can be used in the same fashion as grapes when making jams and wine. This is a very different plant than your average grape vine however and it grows more like a tree with profound branching and many leaves. The Jaboticaba (Brazilian Grape) is a very slow grower and it may take up to ten years before it bears fruit so I am in for a long wait. 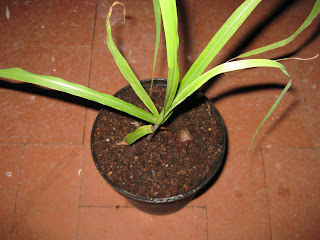 This is one of my better looking sugar cane plants. 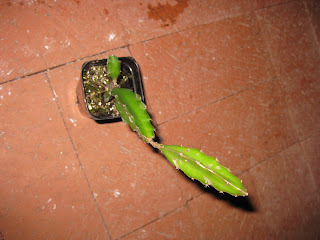 It is a glossy black variety that has been propagated by cutting and it is doing quite well. This happens to be a Pitaya plant that will eventually bear dragonfruit. There are many different species of Pitaya and I am not certain but I believe that this is a Red Pitaya (Hylocereus undatus). 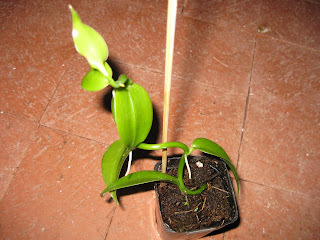 Last but not least is one of my favorite plants, Vanilla planifolia, which is of course a vanilla bean plant! It belongs to the orchid family and supposedly is one of the more difficult types of orchids to grow so I am crossing my fingers. This particular species is native to mexico and is supposed to vine excessively.